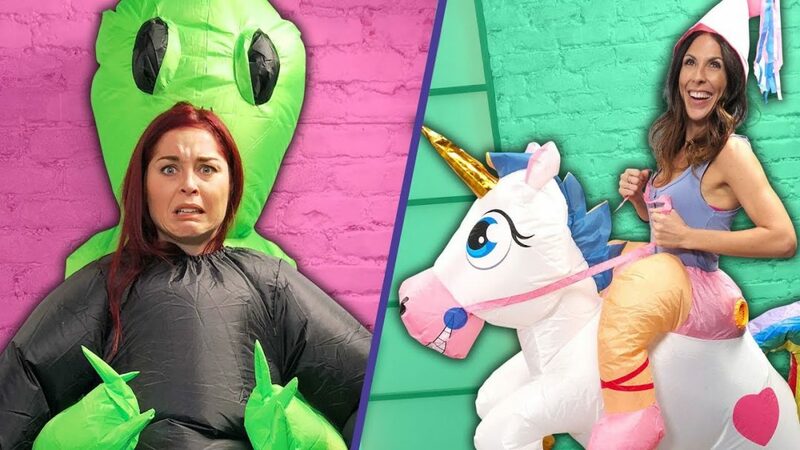 We tried the best (and weirdest) 2018 Halloween costumes on Amazon so you don’t have to! HAPPY HALLOWEEN!! Today on BOOOO-ty Break we’re trying ten different, affordable costumes you can get on Amazon just in time for trick-or-treating or parties or, y’know, sitting at home watching Hocus Pocus. This year is all about inflatable costumes and puns – and apparently alien abduction?? Which costume was your fave? Are you dressing up this year? Tell us in the comments below!